The Federal Communications Commission today voted to eliminate price caps in much of the business broadband market by imposing a new standard that deems certain local markets competitive even when there's only one broadband provider. 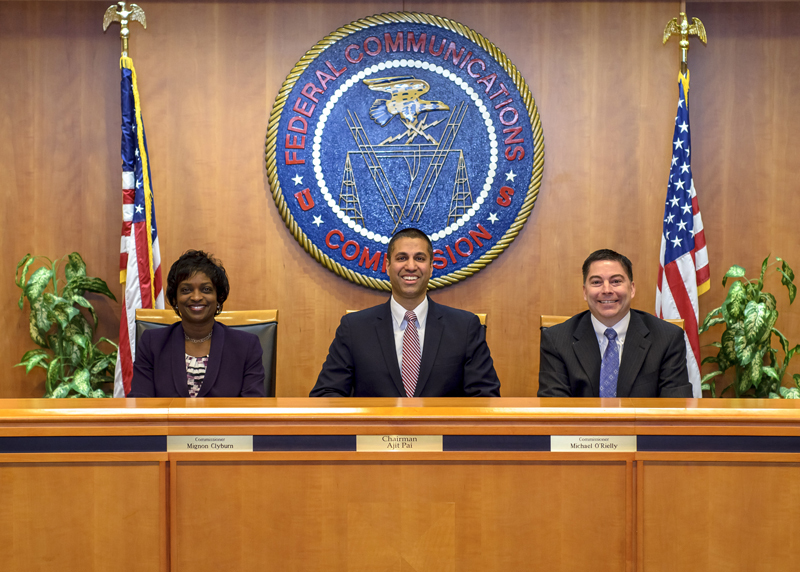 "What this order does is open the door to immediate price hikes for small business broadband service in rural areas and hundreds of communities across the country," FCC Commissioner Mignon Clyburn, a Democrat, said in a detailed dissent. "Cash-strapped hospitals, schools, libraries, and police departments will pay even more for vital connectivity." While there are no price caps on home Internet service, the FCC does limit the prices of so-called Business Data Services (BDS) provided by incumbent phone companies like AT&T, Verizon, and CenturyLink. The services are delivered over copper-based TDM networks and are commonly used for "connecting bank ATM networks and retail credit-card readers [and] providing enterprise business networks with access to branch offices, the Internet, or the cloud," the FCC said. Because of today's decision, the price caps will be eliminated in a county if 50 percent of potential customers "are within a half mile of a location served by a competitive provider." A county would also be considered competitive if 75 percent of Census blocks have a cable provider. Fewer than 10 percent of potential customers will benefit from price controls under the new procedure, according to Clyburn. "Even if a business that needs broadband has only one choice today, the FCC would consider the local market competitive if there's a second broadband provider within a half mile," we wrote in a story last week. The FCC majority argues that nearby ISPs would be more willing to extend their networks to additional customers if there are no price caps. BDS (also known as "special access") provides dedicated links with speeds of up to 45Mbps upstream and downstream. The order to limit price caps was approved 2-1 with the commission's two Republicans voting in the majority. "Price regulation—that is, the government setting the rates, terms, and conditions for special access services—is seductive," FCC Chairman Ajit Pai, a former Verizon lawyer, said. "Who can possibly resist the promise of forcing prices lower right now? But in reality, price regulation threatens competition and investment." If price caps are too low, network owners won't have an incentive to upgrade facilities, Pai argued. "Competitive providers also won’t have an incentive to build their own facilities. Why would they when they can cheaply and profitably use someone else’s network?" he said. BDS is still subject to network sharing requirements, so competitors can buy access from the incumbent ISPs and resell it. Wireless carriers also buy bandwidth through BDS offerings, so it has an indirect effect on mobile broadband prices.